This is the first in a series of articles about a young-Earth creationism (YEC) conference held in Bozeman, Montana in April, 2016. 3. What you haven’t been told about radioisotope dating – I will tell you what YECs haven’t told you about radioisotope dating. 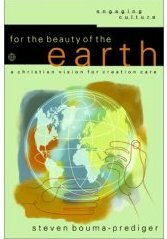 On April 1-3, 2016, Grace Bible Church in Bozeman, Montana will be hosting a Creation Conference featuring three prominent young-Earth advocates. I plan on attending this conference, and posting reviews and critiques here on The GeoChristian. My goal is not to be provocative or argumentative, but to listen, think, and write. I am usually pretty quiet when I attend events like this, though I will ask a question or two at the appropriate times, and interact with speakers and people sitting around me. I plan on writing summaries similar to those I wrote when Dr. Nathaniel Jeanson of the Institute for Creation Research spoke in Billings in 2012. Young-Earth creationists are first and foremost my brothers and sisters in Christ. 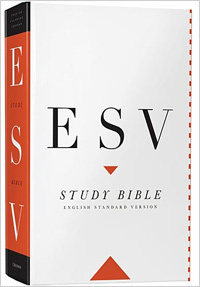 I love and respect them, and appreciate their zeal for the Bible, for Christ, for evangelism, and for discipleship. In these things they and I are on the same page (for the most part). 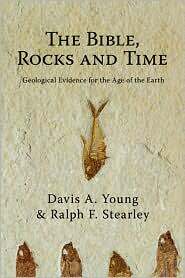 I do, however, believe that young-Earth creationism is not required by the Bible, and that it is not credible scientifically. Because of this, YEC apologetics (defense of the faith) sometimes does far more damage than good, especially among the scientifically literate. It is important to add that I was a member of Grace Bible Church when I was an undergraduate student at Montana State University in the early 1980s. The church was (and I assume still is) an excellent, Bible-believing, Christ-honoring, people-loving church, and the teaching I received there laid a strong foundation for my life as a Christian. I am deeply thankful for the influence Grace Bible Church has had on my life. I plan to attend the following Friday evening and all-day Saturday sessions. The biographies of the speakers can be found here. 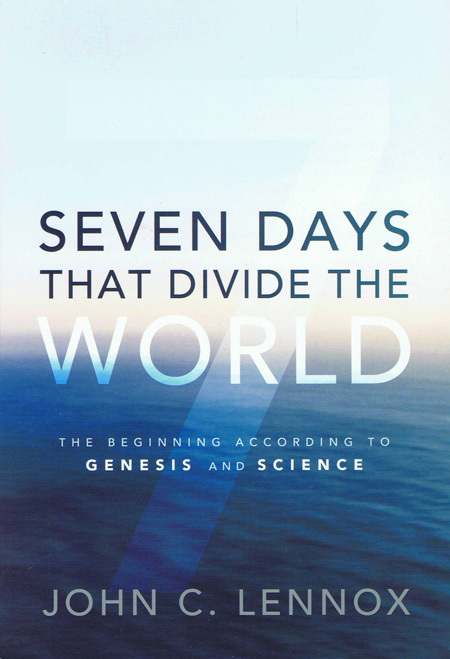 Brian Thomas (Institute for Creation Research) – Why Genesis Matters. From my experiences at previous YEC seminars, I expect that I will be in substantial agreement with the speaker on this one. 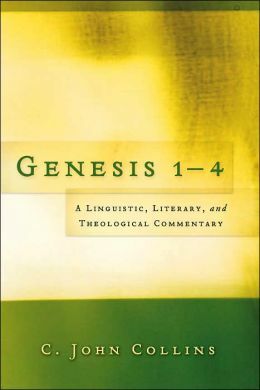 Genesis lays the foundation for many key themes that run throughout the Scriptures: The one and only true God, humans created in the image of God, human sin, redemption, marriage, grace, forgiveness, covenants, and so forth. One thing on which I will disagree with Mr. Thomas will be his insistence that if Earth is millions of years old, then these foundations crumble. There is nothing in the Scriptures that ties any of these doctrines to the age of the universe. Dr. Jake Hebert (Institute for Creation Research) – What You Haven’t Been Told About Radiometric Dating. My expectation is that Dr. Hebert will talk about discordant dates, accelerated nuclear decay, and carbon-14 found in coal and diamonds. What Dr. Hebert will not tell the audience is that radiometric dating usually works, which was the major unspoken finding of ICR’s RATE study. Because radiometric dating usually works, the main thing YECs have fallen back on is the idea of vastly accelerated nuclear decay rates, a hypothesis that has a number of serious problems. Michael Oard (the “Mr. Ice Age” of the YEC world) – The Ice Age: Only the Bible Can Explain It! I expect that Mr. Oard will state that the ice age is “impossible with evolution, easy with creation.” I, on the other hand, find YEC post-flood ice age scenarios even less credible than their whole flood geology schemes. Hebert – Ice Cores and Deep Seafloor Sediments: Do They Really Prove Millions of Years? I suppose that means what one means by “prove.” Does the signature of John Hancock on the U.S. constitution prove that John Hancock existed? I’m sure we could come up with some conspiracy theory to cast doubt on Hancock’s existence. I haven’t read much YEC material on this topic, so I am not really sure what to expect. I have been conditioned by YEC writings, however, to expect problems. Oard — What Does the Lake Missoula Flood Teach Us? Mr. Oard will tell us that there was only one Lake Missoula flood. The driver for Oard’s conviction is that the YEC timeline is already squeezed to the limits, so any evidence for multiple Lake Missoula floods must be disregarded. One thing the Lake Missoula floods teach us that Mr. Oard is unlikely to mention is that if Earth’s surface was shaped by catastrophic global flooding only 4300 years ago, then the dominant erosional geomorphic features on Earth’s surface ought to be extensive channeled scablands such as found on the Columbia Plateau. And this is not at all what we see. Hebert – Exciting New Research at ICR. Column Project: analyzing rock layers globally to reconstruct the stages of the Genesis Flood and explain why certain fossils are found only in certain areas, and to determine the approximate topography of the pre-Flood world. The fact that YECs have to have a research project about the geologic column reminds us that the geologic column is a valid concept, and that YECs haven’t figured out how to explain it yet. And of course Milankovitch cycles are clearly anti-Biblical and must be exposed! Thomas – The Beginning of Life. I will probably agree with much of what Mr. Thomas has to say. The simplest conceivable, metabolizing, reproducing cell is an incredibly complex thing, and sixty years of origin-of-life studies have only accented the gap between non-life and life. But this is a tentative position on my part, and is based on my understanding of the science of abiogenesis. I don’t think the Bible precludes the possibility of God creating a universe that is so wonderfully designed that life could spring from non-life. Hebert – Science or Science Fiction? Why the Laws of Physics Could Not Have Created the Universe. I am not sure whether this will be a presentation of the cosmological argument, which I would be in agreement with, or an attack on Big Bang cosmology. I will probably be getting rather sleepy by this point on Saturday afternoon. Thomas – Soft Tissues in Solid Rock. YECs believe that the discovery of soft tissues in dinosaur fossils (a discovery made by a Christian paleontologist!) was a nail in the coffin of old-Earthism. The finding of protein fragments and pliable tissues in Cretaceous fossils was certainly unexpected, but for several reasons is not a death blow to the concept of millions of years. In addition to these grown-up sessions, there will be a number of meetings for young people, with topics such as “Why the World is Only Thousands of Years Old,” “‘Global Warming’ and the Christian,” and “Dinosaurs & Dragons.” Those teaching the children are certainly well-intentioned, but are also setting some of the kids up for a fall. As I often say: Young-Earth creationism is neither required by the Bible nor credible scientifically. Bad science is bad apologetics that turns people away from the gospel. Please pray for me, the speakers, the audience, and most of all, the youth who will be attending this conference. In the early 2000s, a new movement of vocal atheists arose, committed with religious fervor to the propagation of their faith that there is no God, and imagining that the world would be a much better place if religion would just go away. One event that vitalized this crusade of “New Atheists” was the September 11, 2001 terrorist attacks on the United States, undertaken by Islamic radicals. After 911, many secularists lumped all religious believers together as part of the problem of violence throughout the world. Apocalypse. These were Richard Dawkins, Christopher Hitchens, Sam Harris, and Daniel Dennett. Each of these authored books attacking religious belief as nonsensical and dangerous, including the best-selling The God Delusion by Dawkins. Christopher Hitchens’ best-selling book attacking religious belief was God Is Not Great: How Religion Poisons Everything. Hitchens, like the other New Atheist evangelists, was involved in a number of debates with defenders of religion. What many people do not know is that Hitchens developed close relationships with some of the Christians with whom he debated. One of these Christians was a man by the name of Larry Alex Taunton, a Christian apologist (defender of the faith) with an organization called Fixed Point Foundation. In 2010, as Hitchens was suffering from terminal cancer, Hitchens and Taunton held their one-and-only debate in my home town of Billings, Montana. Why Billings? Apparently Hitchens had never been to Montana, and the debate gave him an excuse to travel there. Hitchens passed away on December 15, 2011, one year after his debate with Larry Taunton. Last week on March 24, 2016, Taunton returned to the Babcock Theater in Billings, the same stage where he and Hitchens had previously debated, to promote his new book about his relationship with Hitchens, called The Faith of Christopher Hitchens: The Restless Soul of the World’s Most Notorious Atheist. 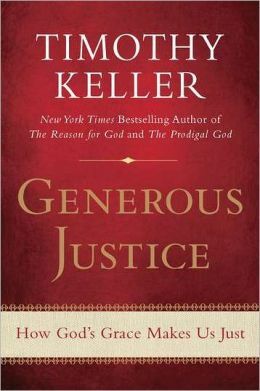 This book has earned praise from both Christians and skeptics, with back-cover endorsements from Christian apologist Ravi Zacharias and prominent skeptic Michael Shermer. Taunton spoke last week for about an hour and a half, highlighting how he and Hitchens formed a friendship, and how that relationship grew to the point of taking long road trips together. I would like to highlight four key points that stood out to me. 1. Christopher Hitchens was a complex person. Taunton pointed out that while Hitchens was famous as a proponent of atheism and an adversary of religion, Hitchens was not defined by his atheism. Hitchens believed in truth and integrity, and was embarrassed at times by what he heard from fellow atheists. Taunton related a time when Hitchens appeared on a program hosted by atheist Bill Maher (of the documentary Religulous), and ripped into both Maher and Maher’s audience for their shallowness. Christopher Hitchens’ complexity as a person is not unusual; I would say that most—perhaps all—people are complex. When we are conversing with a person, we should not assume that the persona they present is the complete package, and we should not assume that the person even fully understands all of their own motives and reasons for believing as they do. A person might say they believe there is no God because of some set of logical arguments, but in reality, their reasons for rejecting theism are something totally different, such as a desire to live without certain moral restrains, or that they have not really understood the other side. 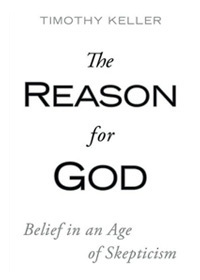 Likewise, a person might be a theist because they are convinced by the cosmological, moral, or design arguments for the existence of God, but deeper reasons come into play as well. Of course, as a Christian, I would add that there are spiritual influences at work beneath and above all of the human reasons. 2. The logical and moral implications of atheism are frightening. Many consider Peter Singer, professor of bioethics at Princeton, to be a consistent atheist. People, in Singer’s thinking, don’t have any more inherent value than animals, and in some cases have even less. The implications of Singer’s ethical system include infanticide and euthanasia. Hitchens was appalled by this line of reasoning, and was personally opposed to abortion and capital punishment. Hitchens was more concerned about discovering what was morally right and then working out the logical basis for his beliefs at another time, than he was about following the implications of atheism to their logical conclusions. Even though Hitchens had written a best-selling book with the subtitle “How Religion Poisons Everything,” Hitchens was able to respect, honor, and be drawn to a Christian who displayed love, gentleness, and respect along with intellectual rigor. We cannot develop a deep relationship with everyone, but we can pray that God would put us in at least one key relationship with an unbeliever in which we can be a powerful witness for Christ. We all have interests or backgrounds that overlap with those of unbelievers. I have a friend who is on staff at the headquarters of a major Christian ministry. In his role, he interacts with Christians all day, and did not have significant relationships with unbelievers. So my friend joined an African violet club. I had no idea such clubs existed, but it was a way for him to rub shoulders with those outside of his Christian world. Christopher Hitchens also developed a friendship with theologian Douglas Wilson. One realm of common interest between these two men was their appreciation of the writings of British humorous author P.G. Wodehouse. Hitchens and Wilson could sit and give one quote after another from characters in Wodehouse’s fiction. This small area of overlap was a bridge that enabled the two men to have much more serious conversations and debates, sometimes while drinking beer together in a bar. 4. The importance of taking people into the Scriptures and pointing them to Christ. As Hitchens and Taunton developed a relationship, it became clear to Taunton that Hitchens had a somewhat superficial understanding of the Bible and Christianity. Eventually, Taunton challenged Hitchens to a Bible study. The two men went on a road trip and studied the Gospel of John together, which brought in topics from throughout the Bible as they conversed. This study occurred after Hitchens was diagnosed with terminal cancer. Hitchens was not converted to Christianity—he said if he converted it would be because the cancer had gotten into his brain—but through his relationship with Taunton and others, Hitchens learned that Christians and Christianity were not entirely who and what he thought they were. Taunton did not hold back when talking about the seriousness of these topics. Christianity is not just a philosophy to affirm or deny, but a call to faith in Christ. We are all moving towards judgment, and Taunton was blunt with Hitchens about his need to turn to Christ. Taunton let Hitchens know that he was praying for him, which Hitchens genuinely appreciated—not because Hitchens thought it would matter but he appreciated the gesture of friendship. Hitchens asked Taunton what he prayed, and Taunton told him that it wasn’t so much for physical healing but that Hitchens would come to faith in Christ. Some would be offended by this, but Hitchens by this point had a good enough understanding of Christianity to know that this prayer was a greater expression of Taunton’s love than a prayer for healing would have been. I have not yet read The Faith of Christopher Hitchens, but there is reason to believe that by the end Hitchens no longer believed that “religion poisons everything.” Hitchens was able to say about Larry Taunton that “If everyone in the United States had the same qualities of loyalty and care and concern for others that Larry Taunton had, we’d be living in a much better society than we do.” Hitchens stated this knowing full well that it was Taunton’s faith in Christ that made him into the sort of person who would bring healing rather than poison to this hurting world. May we as Christians all be this same sort of witness for Christ. The Faith of Christopher Hitchens will be available from Amazon starting April 12th. The debates between Douglas Wilson and Christopher Hitchens were featured on the documentary Collision. The video of the clash between Hitchens and Maher can be found here: Christopher Hitchens gives Bill Maher’s crowd of leftist automatons a well-deserved finger.